The Amazon Kindle Fire with a 7" multi-touch display has arrived, With the 1024 x 600 pixel resolution you can watch HD (High Definition) Movies and TV shows right on the Kindle Fire. Well, there comes a problem - do you know how to add HD videos to Kindle Fire without any quality loss? To watch and download YouTube Full HD 1080p videos and movies on Kindle Fire, you need to make sure that the format of HD movies is supported by Kindle Fire. The Kindle Fire only support MP4, VP8 video format. If your HD movies format is not included in the formats above. You need to convert the formats firstly. And to convert the full HD videos to Kindle Fire supported video format, you need the iFunia Video Converter for Mac which can convert both DVDs and videos to Kindle Fire movie format easily and freely. 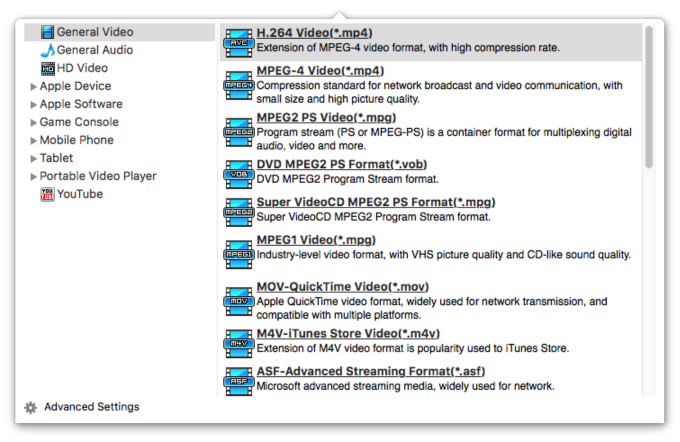 Free download the iFunia Video Converter for Mac and install it to your computer. Then do as the guide below to put and play full HD 1080p movies on Kindle Fire step by step. Now run HD video to Kindle Fire Video Converter and click the Media Browser icon at the upper right corner to add 1080p HD videos such as AVCHD, M2TS, MT2, MKV,H.264/AVC, you may add as many HD 1080p videos as you want to convert to Kindle Fire mp4 videos. Click the "Output Format" option, and navigate to General Video> H.264 Video(*.mp4) as output format. The Media Converter will downscale video from 1920x1080 video to 1280x720 for Kindle Fire and transcode HD files to H.264 .mp4 for Kindle Fire. Step 3. Convert HD files to Kindle Fire on Mac. Start 1080p HD to H.264 mp4 conversion for Kindle Fire by clicking on the conversion icon on the main interface of iFunia Media Converter for Mac.